The license covers two products: Data Toolbar for Internet Explorer and Data Toolbar for Chrome and Firefox. The license removes all output limitations of the free version. The license includes priority support and all future updates. 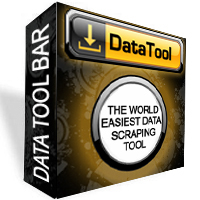 Data Toolbar is licensed per computer. Each computer requires a separate license. If you replace your computer within three years after the purchase, you can apply for a license transfer. Delivery takes just a few minutes for credit card transactions. Once your order is processed, you will receive an e-mail message with your license information. Free version and paid version use the same setup file that should be downloaded from our web site. Do not reinstall the program after receiving a license code. 1. Click on the drop down button next to the DataTool button and then select Enter License menu item. 2. Copy and paste the license code into the License Key field. If activation is successful "Free Edition" note will disappear from the window caption.